This week, Medicare opened the books on where it has distributed roughly $77 billion in a report that is the most detailed accounting of the federal program’s expenditures in its 50-year history. Some fascinating, yet eyebrow-raising, information emerged from the report concerning the concentration of benefits among a select few providers and how some doctors opted to spend the proceeds from Medicare that has fraud investigators buzzing. As San Francisco healthcare fraud attorney Gregory J. Brod would say, if one wants to find likely instances of schemes to defraud Medicare one needs to follow the money. According to The New York Times, in 2012 just 100 doctors received $610 million from Medicare, with $21 million going to one Florida ophthalmologist and payments of $4 million each to dozens of other physicians, including eye and cancer specialists. 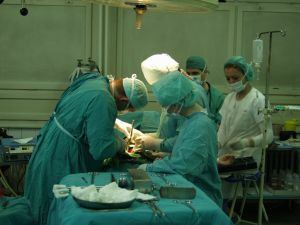 It seems as though the medical profession has had its version of the notorious so-called “one percent” in society with a concentration of wealth – except that among Medicare providers, the figure is two percent, two percent of all Medicare providers, that is, who received $15 billion in payments from the program, or 25 percent of all money distributed. Overall, one-fourth of all providers are responsible for three-fourths of the spending from Medicare. The concentration of payments into the hands of a small group of physicians raises questions of whether some of these doctors who performed a high volume of services conducted tests or treatment that were, in fact, medically necessary, or if they even performed these services at all. Indeed, the Office of the Inspector General for the Department of Health and Human Services, which is the watchdog on fraud and abuse for the department, issued a report in December in which it called for greater scrutiny of those doctors who were Medicare’s highest billers. Also this week, additional news emerged concerning the Florida ophthalmologist, Dr. Solomon Melgen, who took down $21 million in payments from Medicare, and another doctor, a cardiologist named Dr. Asad Qamar, who raked in $18.2 million from Medicare, the second biggest haul in 2012. According to The New York Times, the two doctors, the former based in North Palm Beach, Fla., and the latter in Ocala, Fla. were making some major campaign contributions at the same time they were receiving the top-two distributions from Medicare. In Melgen’s case, his firm donated $700,000 to Majority PAC, a super PAC run by Senate Majority Leader Harry Reid, D-Nev., who spent $600,000 to help re-elect Sen. Robert Menendez, D-N.J. Interestingly enough, Menendez became the target of an investigation after he intervened on Melgen’s behalf with federal officials who were looking into his alleged overbilling of Medicare. After a lawsuit that sought to recover $9 million from Melgen was filed, he reached out to Menendez, and now both of them are the subjects of federal scrutiny. In Qamar’s case, he forwarded more than $100,000 to the Democratic National Committee and other state branches of the party as well as made contributions to President Obama’s presidential campaigns. Meanwhile, Greenberg Traurig, a prominent law and lobbying firm, as well as a former Justice Department official and congressional aide name Gregory W. Kehoe, helped Qamar get in touch with more than a dozen members of Congress to ask them to help him address why he was the focus of intense scrutiny from Medicare auditors. Qamar, whose $18,2 million in payments dwarfed the $4 million to the next biggest cardiologist recipient of Medicare funds, was under federal scrutiny for his voluminous billing practices. The suspicious elements of a large amount of money from Medicare ending up in the coffers of a relative handful of doctors and the decision by a couple of physicians under a federal cloud who attempted to obtain influence on Capitol Hill are yet additional examples of how the gaming of Medicare has become such a high-stakes pursuit. It also raises the importance of the brave whistleblowers who step forward under the legal umbrella of the False Claims Act to report abuses of our healthcare system, with subsequent legal action known as a qui tam lawsuit helping to recover the funds that have been stolen from the U.S. Treasury and the taxpayers. If you are someone who has knowledge of fraud that has been committed against Medicare or any other federal program, please contact the experienced attorneys at the Brod Law Firm for a free consultation.